“We know that your wedding day is one of the most important days of your life and should always be a special one. 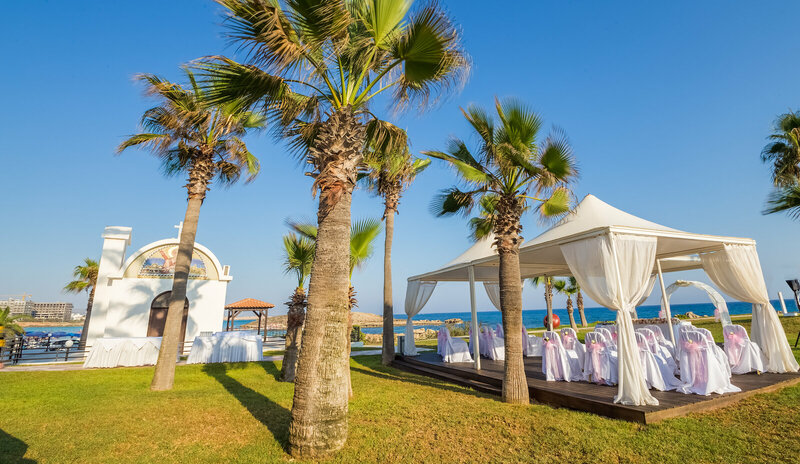 Summer is the most beautiful time of the year for a party and Cyprus is renowned for its particularly long sun-drenched summers. Secondly, the gentle, sparkling waters of the Mediterranean Sea are just a few footsteps away. Thirdly, our wonderful venues and experienced staff are on hand to ensure your wedding day flows just as you have planned, leaving you relaxed and free to enjoy your special day. 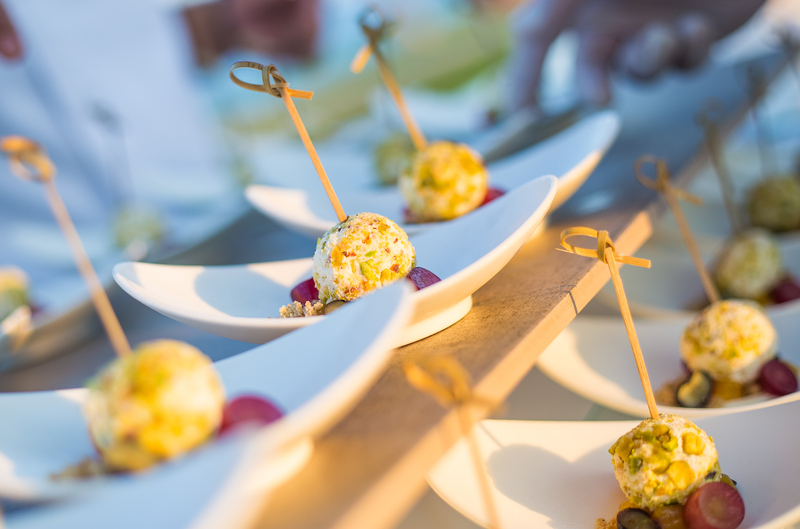 There are many more reasons to choose the Adams Beach Hotel of course, but here is just a little more information to enable you to make your decision. 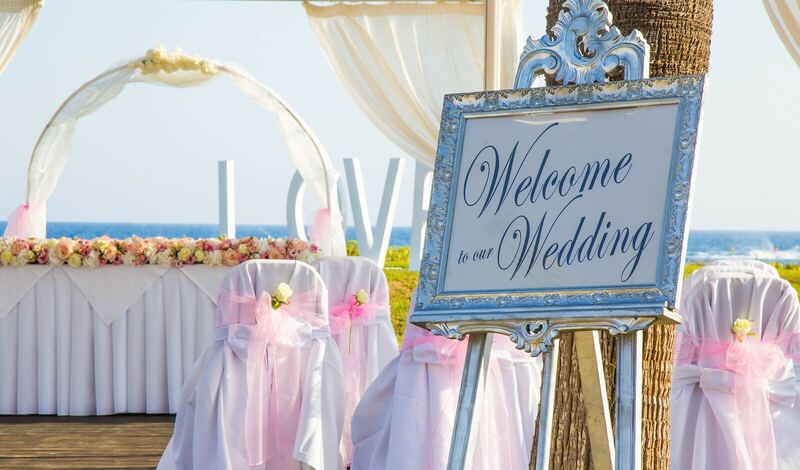 We guarantee only one wedding per day so that each couple’s special day, remains just theirs! The most important moment of a wedding day is the ceremony. At Adams Beach Hotel we have three wedding venues, each with its own character: For a traditional religious ceremony, we have the bijou St.Andrew’s chapel with whitewashed walls and courtyard with views over Nissi Bay. We also have our Beach Gazebo venue for civil ceremonies located at the edge of the hotel’s grounds overlooking the beach. Our secluded and intimate Garden venue is situated amongst palms, hibiscus and typical Mediterranean plants and is ideal for both civil and religious ceremonies. Following the ceremony, you can choose where to hold your cocktail reception, wedding lunch or dinner, from our various restaurants and tavernas. As for the party?, at the Adams Beach Hotel we know just how to keep you and your guests entertained! 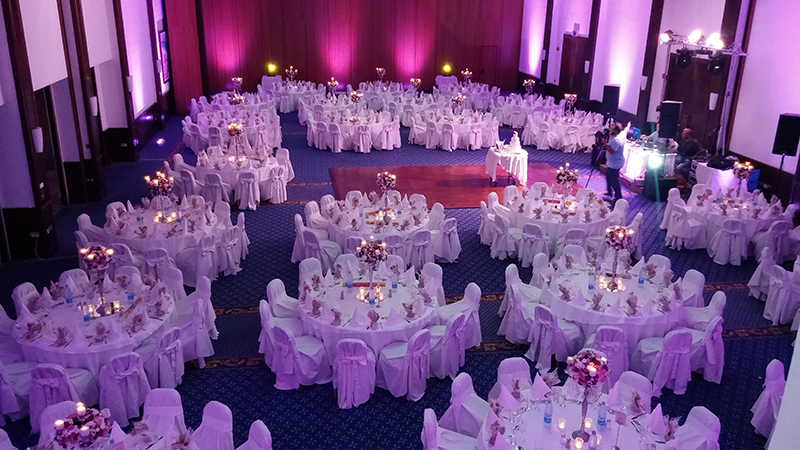 Our expert in-house Wedding Coordinator Katarina, will be on hand to show you venues, menus, decoration and entertainment ideas and also assist you in choosing what best suits you for your wedding at the Adams Beach Hotel. Of course, by choosing the Adams Beach Hotel for your wedding, you can combine your wedding with your honeymoon and a holiday for all your guests! we are specialists in arranging an increasing number of blessings and renewal of vows ceremonies too.